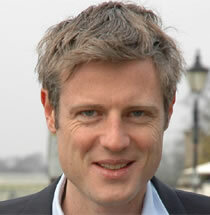 Mary Macleod MP is joining forces with Zac Goldsmith MP, other local MPs from all parties, the Mayor of London and Council Leaders to hold a ‘mega rally’ to demonstrate the strength of feeling against possible expansion at Heathrow airport, and to promote Richmond's Council's referendum on the third runway. 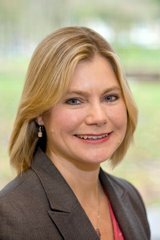 Justine Greening MP for Putney will be attending and speaking at the event. Justine has campaigned over many years with the local community against the expansion of Heathrow. Aircraft noise and night flights are a real cause for concern for many local residents, as well as our environment. This rally has been organised to demonstrate the communities’ strength of feeling against any expansion at Heathrow Airport. The Prime Minister recently set up the Davies Commission to recommend how to maintain the UK’s aviation capacity and the Commission will be looking at Heathrow Airport as part of this work. There will be a series of short speeches before Boris casts the first 'vote' in a giant ballot box to be constructed by pupils and teachers at Richmond Park Academy. Everyone is encouraged to attend the event, which will take place at the Barn Elms Playing Fields between 09:30 and 10:30 on Saturday 27 April 2013. "This an opportunity for everyone living under the Heathrow flight path to come together and make clear their opposition to further expansion. We have done so in previous campaigns, and we will keep doing it until this Government gets the message. I want Ministers to be left in no doubt that if they give expansion a green light, they will face a campaign on a truly massive scale."